The apparent perpetuation of racial injustice in America is not new to minorities. One of the most important democratizing effects of an open internet is its emancipatory impact on underrepresented groups. It enables impoverished communities to bring to light the social injustices that were once in the shadows. The expansion of this movement and its capability to respond rapidly and effectively to the brutal and biased policing of Black, Latino, LGBT, and other minority groups depends, in part, on access to a non-discriminatory internet. The internet plays a critical role in the dissemination of information and services specifically tailored for people of color and other marginalized groups, including LGBT people, because it provides the opportunity for us to tell our own stories and to organize for racial and social justice. That empowerment relies on an open internet and net neutrality. 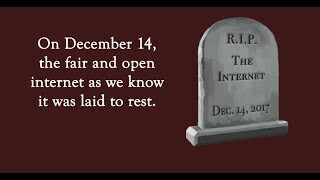 Net neutrality prevents Internet Service Providers from interfering with, blocking, or discriminating against Web content. Unfortunately, in April 2017, current FCC Chairman Ajit Pai announced plans to undo those rules and strip consumers of those critical online protections. Chairman Pai specifically proposed to remove the internet's classification as a public utility under Title II of the Communications Act. The audiovisual truth of Alton Sterling and Eric Garner’s public executions were undeniable and accessible because of the current net neutrality rules in place. ISPs are unable to control Twitter dissent, or block profiles reporting police brutality and access to video footage, thanks to the net neutrality. Activists can turn to the internet to circumvent cable, broadcast, mainstream, and print outlets improper characterizations of disenfranchised and marginalized communities, because of an open and accessible internet. The current rules safeguard disadvantaged communities of color and America’s poor by ensuring that internet providers - upon whom we all rely to have our voices heard - treats all data on the internet the same. In 2017, it is not just one movement, but every purpose that benefits from the ability to vibrantly and rapidly spread their message over a free and open internet. We watched the Women’s March explode from an idea on Facebook to a nationwide and global movement. Groups mobilizing in support of a Supreme Court nominee find an avenue to speak online just as well as leaders mobilizing mass protests against the Muslim ban and the immigration crackdowns. Conservative groups in rural America have found a voice online as well. In all cases, the American people have used the internet to mobilize and organize resistance against an increasingly heightened democratic dialogue. Millions have been able to mobilize so quickly because they have the ability to use the open internet to communicate to the masses and organize a resistance. When Americans have protections for the proliferation of democratic discourse and civic engagement, we all benefit. It is our duty to ensure those protections aren't dismantled and to protect our communities from the discriminatory practices of telecommunications companies. We can’t allow the Trump administration and Chairman Pai to eliminate net neutrality and consumer protections that affect us all. Internet users cannot allow ISPs and other broadband providers to deliver substandard internet service to our communities. 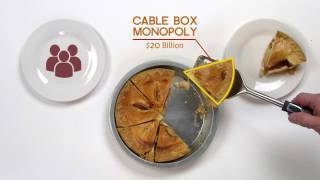 Net neutrality is the beginning of a larger conversation on the future of the internet. The internet fosters mobilization for progressive and social change, and as advocates for social justice we must protect the internet from transitioning into a utility of privilege. The clock is ticking and the time is now. Gigi Sohn, one of the major net neutrality advocates who helped in crafting the FCC’s current Open Internet Order, published helpful advice for those who want to get involved. If you want to weigh in on net neutrality and the FCC’s role in implementing it, you can contribute by submitting a comment no later than August 16th. As the United States transitions towards this internet-based communications network revolution, we must remain focused on the right goals: ensuring that the internet is affordable and accessible for all, not just the privileged. Digital social justice demands no less.